How much I love this land…..
Pingback: Development Digest – 24/06/11 « What am I doing here? It’s possible I misunderstood the facts. I had thought that it was all of Unity State that was supposed to be allowed to determine its own future under a referendum. Was it only Abyei that was included in the CPA? I think the post is a good overview of the situation but yes I think there has been a misunderstanding – outlined below. in January. 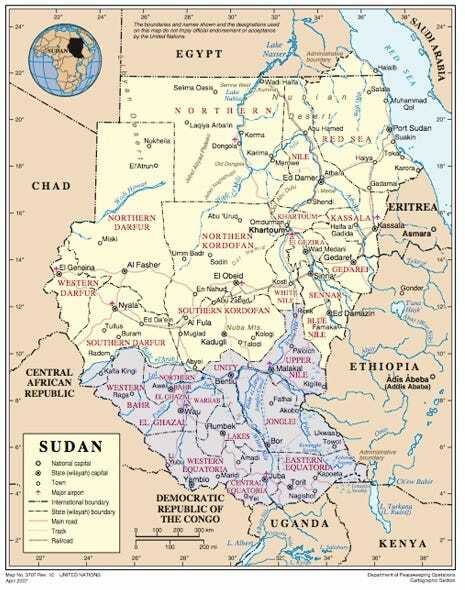 And it actually produces much less oil than Upper Nile now. which is right on the border between Southern Kordofan & Unity. negotiations over Unity. It is part of the south.